There is something infectiously uplifting when you talk to someone about why they love their work. That’s why I always look forward to interviewing clients. When they describe what they really care about, their energy is contagious – and I know I’ll leave the conversation feeling buoyed up. Vincent Reed is an example of how persuasive you can be when you talk, and why it’s so valuable to capture that on your company’s website. Arguably, Vincent is the country’s leading authority on the restoration of architectural woodwork. 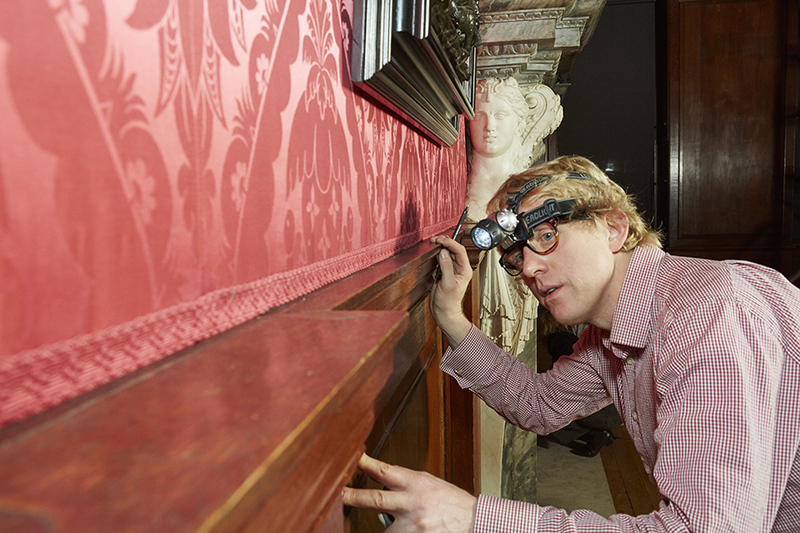 His clients include Kensington Palace, The Great Pagoda at Kew Gardens and Auckland Castle. But Vincent is just as enthusiastic about working in individually owned listed houses. He sees those home owners as custodians of our country’s cultural heritage, on a par with stately properties. Why? Because for Vincent, precious architectural woodwork not only means decorative features such as panelling, staircases and fireplaces. It also includes “mundane” things such as window frames and floorboards. I put the word “mundane” in quote marks, because that’s how I viewed old flooring before I met Vincent. I’d always associated it with grime and woodworm, just waiting to be ripped out or stripped back. How wrong I was. 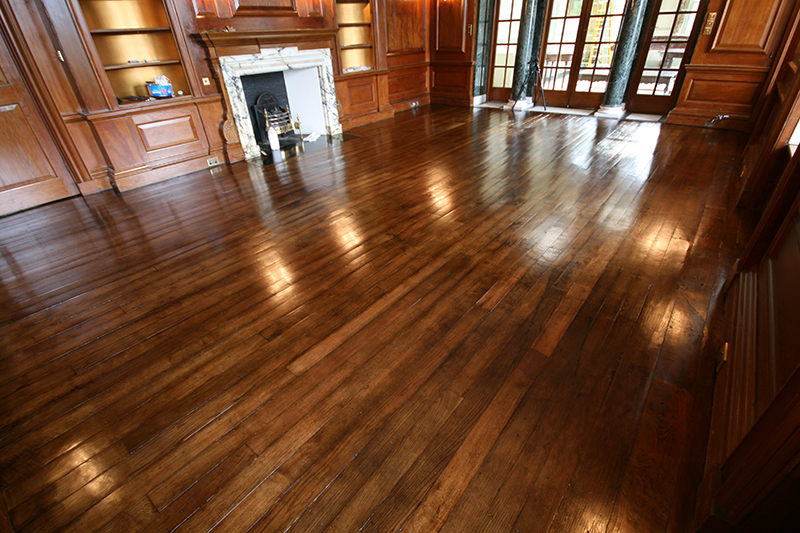 When original floorboards are restored properly, they have the potential to become the most prized antique in your home. If you don’t believe me, have a look at these photographs on Vincent’s website. The dirt, scratches and grime tell the story of your house and are the things that create your floor’s beauty. Every patch repair and every dent are part of your home’s history and evolution. They are its autobiography. When your floor is properly restored, you can see the depth and character of the grain in the wood. And you can watch the character of your floor change as the light shifts. Sometimes it resembles the beautiful scales of a fish. Its iridescent quality is fabulous. When you touch it, it feels silkily smooth. But if you sand it with a machine, you lose all that and the wood feels rough. You wouldn’t dream of putting a belt sander on a piece of antique furniture, so why would you do it on your floor? Where’s the sound of your voice? I’m sure that you, like Vincent, really care about what you do. So you owe it to yourself and your business to capture that enthusiasm on your website. That means allowing your voice to come through in your words. Yes, I am biased because I used to work in radio. But I still think your spoken voice is powerful because it is more direct than when you write. That’s why it works so well on the web. Your readers – potential customers – are very short of time. They want to get a sense of who you are in seconds. Not just factual qualifications, but a feel for what you, and your team, are like as people. The trick is to transfer the personality of how you speak into the words on your website. Don’t lose it in translation. To get a sense of what I mean, watch Vincent talking about how old floors develop their own unique ‘patina’ – as different generations mop, polish and walk over them. Then read about his fascination for flooring and see how his voice comes through. And if you own a house with its antique flooring intact and are now wondering what amazing stories lie beneath your feet, give Vincent a call now. At the very least you’ll come away feeling refreshed because you’ve learned something fascinating about your home. Which page reflects your passion? What is it about your work that makes it all worthwhile? Does your website reflect what you find rewarding about your work? If you tell the story of why your work and your customers matter, then your readers will know you’re genuine. That’s a big selling point, and you’re not even in selling mode. Write memorable content, with help from your childhood holiday. Give your website a distinctive voice. Learn from the wireless. Part 2.